A university coach recently described to me how a parent had invited a mental peak performance instructor to work with four select athletes. The coach was concerned that the seminar had been closed to the majority of the team, and wondered what impact this would have on the team. Based on what he described, I told him that any program directed solely at young athletes would have a marginal impact. Most of the information would be lost in about 48 hours, simply because the most important component of education was missing for the athletes—the coaches. Elite athletes need coaches to be working on the same page as they are. For example, I teach athletes very effective ways of visualizing, and it is important for the coach to reinforce it. I also teach athletes how to overcome the effects of negative people, but experience tells me that immature athletes find it very difficult to overcome a negative coach. So, whether we are speaking of game skills or mental skills, coaches are crucial in the learning process. They need to own the coaching Zone so that they can emotionally carry the team. 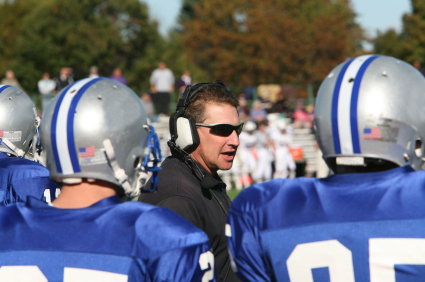 Whether you are a coach, team leader, trainer, manager or water boy, high performance strategies can play a huge role in keeping your team in the Zone. Even parents have been known to sit in on my high performance training sessions, as initially encouraged by an Olympic Development Team Coach in Pennsylvania. As a high performance trainer, once I get an athlete to buy into the high performance program, their change in performance is usually amazing. And when I get the coach to buy in, the end result is pure magic. Working with only the athlete is akin to building a structure without a foundation. By including the coach—and giving them specific strategies—I can develop an assistant who will reinforce the strategies for me when my workshop is over. So, if you are a parent or coach seeking a high performance trainer, it is a good policy to ask: Who will you include in the workshop? And what strategies will we be learning to support our young athletes? Because we want to own the Zone, too! I'm Bob Palmer, CEO of SportExcel and a high performance expert in sport. For the past 20 years I've trained athletes, coaches, CEO's and parents on six continents, in a high performance system test-driven by champions that supercharges their game and teaches them how to win in just seven weeks. From kids as young as ten to seniors in their 70's, my six-step system has gotten incredible results at all levels of competition where many have achieved podium success in the Olympic, Commonwealth, Pan Am, and X Games, as well as in many developmental, collegiate and recreational sports. "With the SportExcel System you learn how to win, take leadership of your sport and get the fun back. In just seven weeks you'll learn the Zone, build consistency, create life-long momentum, acquire sport-specific skills quickly and take decisive leadership of your sport. And, after every training session, you’ll be asked one question: How will you play now? And your answer had better be “fantastic” or I haven't done my job - satisfaction guaranteed." Bob Palmer, B.E.S., B.Ed. CEO, SportExcel Inc. This entry was posted in Athletes, Coaches, High Performance, Leadership, Sports, The Zone and tagged Athletes, attitude, Coaches, competition, High Performance, parents, performance, physiology, Sport, teammates, training, Zone. Bookmark the permalink. Mirror neurons and learning in sport— How to turn them on!